An overview of Schaff’s volume 8 surrounding the Swiss Reformation of Zwingli and Calvin. Switzerland was as much in need of spiritual reform as Germany, or any other country of the time. The Reformation in Switzerland occurred at the same time as in Germany, and then continued under the labors of John Calvin. Martin Luther and Philip Melancthon reforming in Germany, and Ulrich Zwingli and Oecolampadius in Zurich, marked the first generation Reformers (where John Calvin is a second generation reformer.) The Swiss Reformation can be divided up into three periods: 1) The Zwinglian Reformation in the German cantons from 1516 to Zwingli’s death, 2) The Calvinistic Reformation in French Switzerland from 1531 to John Calvin’s death in 1564, and 3) The labors of Bullinger in Zurich and Beza in Geneva. Ulrich Zwingli (1484-1531) was born in Wildhaus, Switzerland, and at age ten excelled in his learning in Latin, music and dialectics. He entered college at Berne and then moved onto the University of Vienna. In 1502 he returned to Basle, taught Latin and pursued classical studies to attain his Masters in 1506. (He never attained the Doctor of Divinity.) He was ordained to the priesthood and appointed pastor of Glarus where he labored for ten years, and personally studied Greek and Hebrew. During this time he corresponded with Erasmus, and took an interest in politics. He became an influential public man in Switzerland before he left Glarus, but was not known at this time as a theologian. His conversion was gradual, and it completed when he settled in Zurich, two-years after his stay in Einsiedeln where he studied and preached. Zwingli’s fame as a preacher and patriot secured him a call to the Great Minster in Zurich, which was to become the Wittenberg of Switzerland. He preached in a plain and practical style there, and his aim was to reopen the fountain of the New Testament to all people, and to renew the life of the Church by the Gospel of Jesus Christ. In such reforms Zwingli opposed indulgences, the problem surrounding Lent, and clerical celibacy, which afforded him death threats. Zwingli himself, in standing upon his convictions and the Word of God against clerical celibacy, married Anna Reinhart in 1522, but did not make it public until 1524. Zwingli was in agreement with the movement of Germany in its reformation, and drew up the Sixty-Seven Articles as a public statement of the Reformed Faith. They resembled the Theses of Luther six years earlier, but covered a much larger range of topics. Though the articles were thoroughly Reformed, they were surpassed by other mature confessions later. In public reform for the church at large he abolished images in the churches, abolished the mass, reformulated baptism (omitting everything that was not Scripturally warranted), and drew up a new theology for the Lord’s Supper (the memorial view). He opened a school to teach theology, and gave Zurich its sense of theology and literary reputation. The Reformation of Zurich was relatively complete in 1525, however, the relationship between church and state melded together since Zwingli desired to reform the religious and social aspects of the people by the Scriptures. Zwingli entered into controversy with the Anabaptist Radicals (the dispute running from 1523-1532), lead by Conrad Grebel and Felix Manz. The state of their Radicalism did not evolve out of the question of baptism, but out of a desire of revolution against the Church and social order. The baptism issue grew out of their sense of revolution and dissention later. They denounced the Reformers as “semi-popes” and dissented against the state-church that they deemed corrupt. As a result, they were imprisoned, exiled, tortured, put to fire and the sword, and almost totally suppressed by Protestantism, as well as by Roman Catholicism. Zwingli took the same view as Luther towards this faction: he opposed them, and urged that they would not separate from the church, believing that would solve nothing. The Baptism controversy grew, and the Radicals decided that a new church needed a new baptism into it. They contested that Infant Baptism could not be found in the Bible, and denounced it as an invention of the devil and the Pope. From this denial came their “rebaptisms” of converts who wished to unite with the new church. Here they earned the name Anabaptists, or “rebaptizers” which originated with the Paedo-baptist community. The Anabaptists rejected this title seeing no other baptism but the baptism they had in entering their church. They believed that baptism was not tied to any form or time-frame, and allowed anyone to baptize converts. They utilized sprinkling, pouring, and some instances of immersion (mode was not a point of dispute at this time). Zwingli made efforts to meet with the Baptists in private to persuade them differently, but this was fruitless. Instead, public disputation took place. Zwingli had two public meetings with them, but to no avail – they were firmly rooted in their error. The Magistrate decided against them and stated that their infants must be baptized or else they must leave the city and canton with their families and goods. The dissenters refused to obey and made public demonstrations against the judgment. Some were arrested, some recanted, some escaped, but the leaders remained steadfast. The Magistrate decided that death would be the penalty for the error. Zwingli did not openly oppose this, but he also did not openly deny it as unjust. Six executions took place between 1527 and 1532. Manz was the first victim, tied and bound and thrown into the water. “He who dips, shall be dipped,” according to the Magistrate. (Grebel died before being captured and drowned.) The Baptists were defeated but not destroyed. They would rise later in England and America as the largest body of dissenters in the church. The sacramental controversies would not be isolated to the Anabaptists and baptism, but also with the German Reformers and the Lord’s Supper. Zwingli and Luther disagreed about the bodily presence in the Eucharist. Great lengths were made to resolve the issue where Zwingli denied the bodily presence and Luther believed it to be present around the Eucharist (consubstantiation). They both denied transubstantiation but could not come to mutual agreement. Even at Marburg Luther believed Zwingli was a good man, but of a different spirit than the Germans, and they could not call the Swiss brothers based on this error of a fundamental doctrine. Berne was the next city to reform, though it did with hesitancy. A disputation was to take place in Berne (which lasted nineteen days) against the Romish influences on the city. The Reformers won this disputation and Haller drew up the Ten Theses or Conclusions that were to take place theologically in Berne. The Catholic bishops were dethroned and necessary changes were made in church worship. The example of Berne was followed by the work of Oecolampadius in Basel. (Other cantons and cities with men dedicated to the reformation could be noted (Zanchius, Vermigli, Watt and Kesler, and the like) but Oecolampadius is more well known for his involvement with Zwingli and the Germans). Oecolampadius was a master of Greek and Hebrew, and Erasmus himself gave his the compliment of being the best Hebraist. In 1515 he went to Basel to preach at the call of Wolfgang Capito, a current Reformer in the city. He was convicted towards reform by reading the works of Luther, and had an active part with Zwingli at Marburg where he debated Luther on the bodily presence of Christ in the Eucharist. He had an interest in helping French Protestant refugees and brought the Waldensians to a better affinity with the Reformed churches. War broke out between the Roman Catholics and the Reformed Cantons beginning in Cappel in 1529. Zwingli, being the patriot that he was, saw the necessity of war. Protestants would not align themselves to fight for ecclesiastical expedience, and Rome petitioned for it. Zurich declared war on June 9, 1529. Zwingli would have made peace, but Rome would never agree to those conditions. June 25, after several negotiations, a treaty of peace was made. (It was here that the Marburg conference took place, even in the midst of political negotiation.) However, the treaty itself was understood differently to each party and the second war of Cappel was eminent in 1531. It was on the battlefield in this war that Zwingli died. He was 47. After the period of Zwingli’s reform (1516-1531) Heinrich Bullinger, Zwingli’s successor, continued the reforms. He assumed the task of saving, purifying, and consolidating the work of Zwingli. He was a devoted pastor, a superintendent to the school system and to education, received Protestant fugitives from all over Europe and turned Zurich into a city of religious liberty. He corresponded with every major figure of the day, as well as having contacts and influence on the English Reformation. And he concisely demonstrated his theological views in the Second Helvetic Confession, moving higher in his understanding of the Lord’s Supper than Zwingli. From the Swiss Reformation, we come to consider the Reformation in French Switzerland. Here we find William Farel as a precursor to the Calvinistic influence on Western Switzerland. He was a traveling evangelist, incessant in his labor to bring about reform through the preached Gospel. He hated the Pope as the Antichrist, the mass as idolatry, and relics as heathen idols. He was not an ordained minister, but felt himself called, as the Old Testament prophets were, to preach itinerantly to the masses against the popish influences in Switzerland (and according to Beza, Farel was the most forcible of the French-Swiss Reformers.). He ministered in Basel and Strassburg and then settled in Switzerland, pushing for reform in Geneva. John Calvin (1509-1566), the second-generation reformer, being twenty-five years younger than Luther, was a theologian and pastor ministering mainly in Geneva, though he did spend some interim time in Germany. Calvin began a chaplainry at the age of 12, due to his father’s influence, at the chapel of Noyon in France. The income he made from this enabled him to pay for his schooling and studies in law at the College de la Marche and later at College de Montague. His over-achievements in studiousness rendered his health poor in many areas. His first published work as a twenty-three year old youth was a self-financed commentary on Seneca. Even at such an early age he demonstrated keen intellectual insight, though at this time, he was a humanist. There is not much on his conversion, but he does speak of it as a sudden one with no previous preparation (much like the Apostle Paul). Like Melancthon, Calvin was never ordained as a Catholic priest, and, like Melancthon, became a theologian. He remained a wandering evangelist from 1533-1536 as a fugitive from the Catholic Church and traveled through Southern France, Switzerland, Italy and ultimately resided in Geneva. In 1534 he ventured to Paris where he met Michael Servetus who had recently published his heretical book On the Errors of the Trinity and challenged him to a disputation that Servetus accepted, but never showed up for the debate. In 1535, during persecution, Calvin left his native land to seek safety in free Switzerland. He met Bucer in Strassburg, destitute of anything, and was received kindly by him. At this time he came into contact with Farel, who helped him find a place to study in scholarly seclusion for a while (until 1536), met Wolfgang Capito and Simon Gryneus (the heads of the University there), and had a personal interview with Erasmus. Calvin published his Institutes of the Christian Religion and took the forefront of theological genius of his day. The Roman Catholic Church burned it as heresy, but other reformers, such as Bucer, commended him for the work, and encouraged him that God would use him for His church. The Institutes confer a “systematic expression” of the Christian religion in general and a vindication of the evangelic faith through apologetics. Calvin dedicated it to King Francis I of France (1494-1547), who persecuted the Protestants, in hopes that he would read it and be converted. The first edition of the Institutes contained an exposition on the Decalogue, of the Apostle’s Creed, of the Lord’s Prayer, of Baptism and the Lord’s Supper, of the other “so called” sacraments, and of Christian liberty, of church government and discipline. In the last edition of the Institutes, it grew to four times its size, and was published in full form in 1559. Calvin divided the Institutes into “books.” The first book deals with Theology Proper, the second with Christology, the third Soteriology and the fourth Ecclesiology. In 1536 Calvin arrived at Geneva. Farel believed that Calvin was the man to complete the Reformation in Geneva that he had only begun two months prior to his coming. Calvin protested Farel’s persuasive acts to have him stay, but ultimately Farel’s persistence overpowered Calvin. Farel threatened Calvin with the wrath of God, admonishing him that if he were to neglect this post, then God’s curse would be upon him. Calvin, shaken by his words, believed God’s hand brought him to Geneva. Calvin began his work in Geneva September 5, 1536 through preaching regularly in the church of St. Peter in the afternoon. The people, hungry for the Word of God, sought his religious instruction. His gifts for teaching were extraordinary; yet, the people not only wanted a teacher, but a pastor. He was offered the pastorate after a very short time and took it, though at first he was resistant against the offer. Farel decreased in popularity, though not in heart, so that Calvin could become the more preeminent for the cause of true Reformation. Calvin regarded Farel very highly, and they continued as friends throughout their lives. They gained the help of one other reformer named Courault, an older man who was an Augustinian monk converted to the Gospel and to Reformation. Calvin and Farel introduced the need for discipline in Geneva through catechisms and a Confession of Faith. 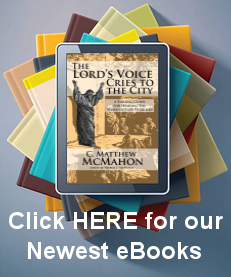 The Confession of Faith consisted of twenty-one articles in simple to understand terms for the ignorant populous. Calvin’s Catechism is an extract from his Institutes that set doctrine in a question and answer format. It is a more full treatment that Luther’s Catechism in Germany, but it was not adopted so much for children, as Luther’s has been, and was directed to the adults. Discipline also took its form in preaching and visitation. They visited every class of people, preached five sermons on Sunday, and two every weekday. During their expulsion from Geneva Calvin went to Strassburg at the invitation of Bucer and the assent of Farel. He arrived there in 1538 and spent three years there being appointed by their Council as professor of theology (he earned the title “The Theologian” while debating a Colloquy in Worms). He labored there without rest as a successful professor, pastor and author. He helped in the conversion of many Anabaptists who resided in Strassburg as “tolerated” and they brought their children to them to be baptized in the “little French Church” he ministered in. He formulated a liturgy for services, as well as specific liturgies for baptism and communion, and introduced the Psalter in the vernacular of the people. Calvin had a special relationship with Philip Melancthon, having first corresponded with him by letter. Melancthon was responsible for introducing Calvin’s work against Sadoleto to Martin Luther who read the work with joy. These two friends often complimented the prowess of the other, though Calvin was always esteemed by Melancthon as superior in theological intellect (Bernardino Ochino, the Italian reformer, even called Calvin “the first divine and ornament of the century”). They met face to face at Frankfurt, Worms, and Regensburg. Calvin also wrote to Melancthon in encouraging him while wrote the Augsburg Confession. Calvin’s vindication of the Genevan Reformation is seen in his letter against the bishop of Carpentras, James Sadoleto. Sadoleto wrote to Geneva in order to persuade them to come back to Romish doctrine while Calvin was gone. Calvin wrote a letter back to him, knowing the circumstance, twice the length and in only six days. Calvin so rigorously and biblically abused Sadoleto in his reply that Sadoleto gave up his efforts immediately. The mass was not reinstated in Geneva, and the last bishop to reside there died three years afterwards never again to have any Roman presence there. Though Calvin was in no hurry to marry, at the persistence of Farel and Bucer, he finally did marry Idelette de Bure, a member of his congregation. He lived happily with her for nine years, though she died after a prolonged illness in 1549. Calvin did have a son, but he was also taken from him and his wife as an infant. After Calvin’s letter to Sadoleto, the Genevan council, and the city to a great extent, had concerns for Calvin’s return. While Calvin was gone the Magistrate could vividly see ill repute into which the city plunged. There were political as well as spiritual problems after the expulsion of the Reformers, and the city now desired Calvin to return in order to help reform them. However, Calvin had no desire to return, and saw Geneva as the last place on earth that he would go. Calvin was resolved not to go, but the Council was resolved to do everything in their power to have him return. They even acquired the help of Bern, Basel, Zurich and Strassburg for aid in attaining him. Farel’s aid was also solicited, and he bombarded Calvin with letters urging him to return to the city. Strassburg entreated him to stay, but he was overwhelmed, again, by both Farel,and the confidence that the Council placed in him to reform the city. In 1541 Calvin returned to his duties in Geneva, continuing his preaching in the exact place where he had left off in the Gospel of Matthew when he was expelled. Calvin labored under the presumed motto “eat little, sleep less, and study more,” though as a result of this his health declined. The sacramental controversy did not end with Luther and Zwingli at Marburg, though Calvin’s middle view was a help to the situation. Instead, Joachim Westphal (a Lutheran minister) disputed with Calvin over the mode of the presence of Christ in the Lord’s Supper. The question, here, did not surround whether the fact of the real presence of Christ in the Supper, but its mode. Westphal argued with Calvin formally, and Melancthon informally, knowing full well Melancthon was agreeable to Calvin’s position though he did not formally say so. Westphal treated as heretics anyone who denied the corporeal presence, oral manducation, and the eating of Christ’s body with the teeth, calling any differing opinions (like those of Calvin, Beza, Zwingli, Bucer, Bullinger) as satanic blasphemies. Calvin demonstrated Scriptural excellence in maintaining the real presence in the Supper, but denying the corporeal presence of Christ in the bread, or around it. In the end Westphal did not respond adequately to Calvin’s written assaults, and Calvin handed the controversy over to the faithful Beza to complete it. In all the controversies, disputes and disciplines Calvin had in his lifetime (against such parties and people as the Patriots, the Libertines, Pighius, the Council of Trent, the Nicodemites, Hermes Bolsec, Sebastian Castellio, and Laelius Socinus) one of the most prominent and difficult was his dealing with Servetus. Servetus was never fully aligned with any company, but simply placed himself in opposition of biblical orthodoxy. He denied the deity of Christ and the Trinity, and wrote a book called Errors on the Trinity which was circulated through Germany and Switzerland. After this he changed his name to Michel de Villeneuve and went to France to work as a geographer in secret. After writing some books on geography he attained the necessary funds to go to Paris in 1536 and attend the university to become a famous doctor. When he turned thirty, he was rebaptized, taking the position of the Anabaptists, and “aligned” himself with the Catholic Church. No one suspected that he had written the blasphemous book on the Trinity previously. Calvin graciously corresponded with Servetus at his initiation, but Servetus overwhelmed Calvin with letters, which, later, Servetus published without the responses of Calvin’s letters called the Restitutio (The Restitution of Christianity). He began to demonstrate his disgust for the Trinitarian concepts and the deity of Christ that he held earlier in secret. He now wanted to overthrow both Roman Catholicism and Christianity at the same time, going back to the pure days of true Christian belief. He was summoned by the court of Vienne to appear to explain himself but did not show. He was then arrested, tried, and the truth came out about his former work on the Errors of the Trinity. Knowing he was going to be burned by the Catholics at the stake, he resolved to escape, and did. He fled to Geneva but was arrested. He was tried there with the charges of having published heretical ideas concerning the Trinity, the deity of Christ and baptism. Servetus was given the period of twenty-four hours to produce a written defense of the charges concerning quotes from his writings, and did this, though blaspheming Calvin throughout. Calvin then replied with twenty-three pages that were signed by all fourteen ministers of Geneva. After deliberation over Servetus’ own defense, the council decided that he ought to be burned at the stake, the same fate that had been given to him by the Catholics. Calvin suggested the merciful sword, but he was overruled. Both Calvin and Farel Farel visited Servetus in prison in hopes of a conversion, but Servetus continued in his heresies even calling the Trinune Godhead a three headed dog. He was led out the next day (the 27th of October) to be burned at Champel in Geneva. His last words echoed his continued denial of heretical ideas surrounding the Trinity and the deity of Christ, “Jesus Christ, thou Son of the eternal God, have mercy on me.” (Not, “Jesus Christ, the eternal Son of God…”) Calvin, Melancthon, Bullinger, Beza, Knox and others defended the burning of Servetus in writing. Geneva became the highest school of Reformed Theology during the Reformation. Calvin had labored here for twenty-three years after his return. He continued his fervency in writing, teaching and preaching up until he died in 1572. Calvin’s successor was Theodore Beza. Beza was sent to school for law, and he graduated with a licentiate for it in 1539. He was a literary genius and wrote a collection of poems called Juvenilia. Upon publication of the book he became seriously ill and this pressed him to reevaluate his priorities. He joined a Reformed church and became one of the most prominent leaders of Protestantism. Beza was called by Calvin to the Greek Professorship at Geneva. He also took up a pastorate in Geneva and labored incessantly for the gospel there at Calvin’s side. He was seen by the French Reformed as their most distinguished orator, and next to Calvin their most celebrated theologian. He worked on a Latin translation of the Scriptures known as the Codex Bezae (or “D” in the list of uncials) and also the Codex Cantabrigiensis (a manuscript of the Gospels and Acts dating from the sixth century). He was the best exegete of the end of the sixteenth century, though he is recognized for his wonderful biography on Calvin called the “Life of Calvin.” He died in 1605. 1. Philip Schaff, History of the Christian Church, vol. 8, The Swiss Reformation, (Grand Rapids: WM. B. Eerdman’s Publishing Company, 1994) 7.